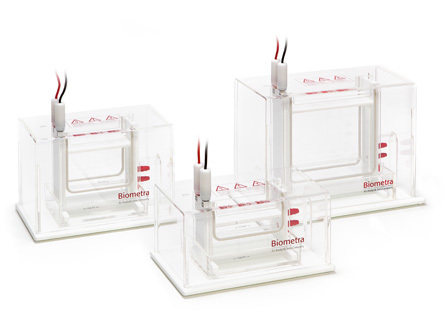 The double-gel design permits rapid separation of up to 24 samples per gel (48 samples total). One or two gel operation is possible. Thanks to the builtin water cooling option the Multigel is also suited for native gels. 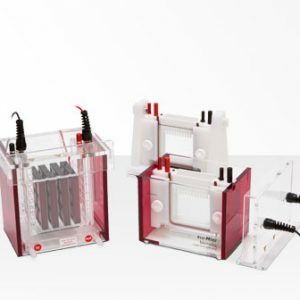 The double-gel design permits rapid separation of up to 24 samples per gel (48 samples total). One or two gel operation is possible. The built-in water cooling option allows temperature controlled runs preventing smiling effects at higher currents. The longer separation distance in combination with the effective cooling systems is ideally suited for SSCP analysis. 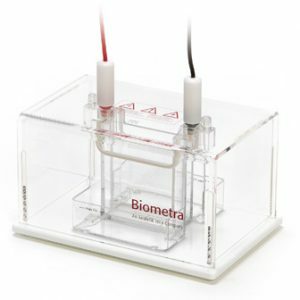 Both Multigel and Multigel-Long offer microtiter plate compatible / multichannel pipette compatible combs. 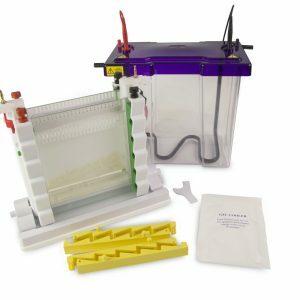 The Maxigel double-gel design features back-to-back vertical gels, each separating up to 45 samples (90 samples total). One or two gel operation is possible. The built-in water cooling option and long running distance are perfect to achieve excellent separation and high resolution. 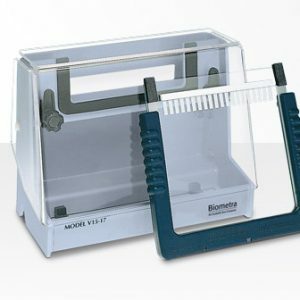 The Maxigel is used for large sample volumes, e. g. if prior concentration of the sample is not possible. Applications include separation of specific proteins from complex mixtures (antibody production, enzyme kinetics or toxicology studies) and native or SDS-PAGE gels. The Maxigel is the system of choice where long running distance, high resolution or larger sample volumes are an issue.